Windows Phone 7 Video Converter is a total video converter and video joiner to convert video files for your digital video and audio player such as Windows Phone 7, iPad, BlackBerry, iPod, Zune, PSP, Creative Zen, Archos, Pocket PC and so on. With advanced conversion technology, this video conversion software can convert video files with high quality and fast speed. And it also provides you a series of video editing functions, such as video crop, movie trimming and video effect adjustment. You can set encoding parameters including resolution, bit rate, frame rate, aspect ratio, brightness, contrast, saturation to accomplish video files conversion of high quality. This most powerful Video Converter software can convert Video to Windows Phone 7 format, and it supports various video formats including AVI, XviD, WMV, MPEG, MPG, FLV, DAT, MOV, ASF, H.264, etc. With this Windows Phone 7 video Converter software, you can convert video files between all popular video formats such as convert MPEG to WMV, WMV to MPEG, AVI to MPEG, WMV to MP4, WMV to MPEG, WMV to AVI, VOB to MP4, etc. and even Video to video. 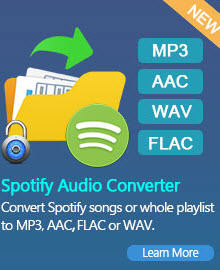 It is an all-in-one video file conversion tool. Hope to rip some of your protected DVD movies to Windows Phone? You can try the powerful DVD to Videos Converter - Any DVD Cloner Platinum.You can convert your favorite but copy protected DVD to AVI, MKV, M4V, OGM and MP4 for playback on Windows Phone 7 easily. Windows Phone 7 Video Converter can directly convert Video into popular video/audio formats (MP4, WMV, AVI, FLV, MOV, 3GP, WMA, M4A, and MP3 etc) without any losses, it can also support HD TS, HD AVI, HD WMV, HD MOV, HD MPG, HD ASF, HD MP4 as output formats. Windows Phone 7 is a Zune HD in your phone. Seriously. It's exactly like the Zune HD experience. You're able to utilize Zune Pass here too, including the ability to browse and download new music over WiFi and 3G. Video is a go too, and we assume that means rentals as well as purchases. Divx playback will be supported out of the box, something that a number of higher-end feature phones and smartphones have integrated in recent years. You can use Windows Phone 7 Video Converter to convert your favorite video clips or some interesting movie to Windows Phone 7 to share with your friends! 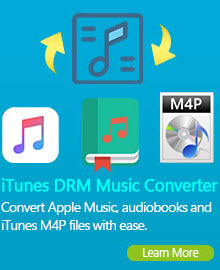 This Windows Phone 7 video converter is a great Video Converter that supports iPad, iPod, iPod Touch 3, iPod Nano 5, Zune, iPhone, iPhone 3GS, OS 3.1, Apple TV, PSP, PS3, Xbox 360, Archos, Sandisk, Motorola Droid/Cliq, Google nexus one, iRiver, Creative Zen, PMP, MP4/MP3 Player, Smart Phone, Pocket PC, PDA, Mobile Phone, etc. With the built-in player, you can preview the added video before you convert the video. Also, it is very easy for you to take snapshot of your beloved movie screen. The image will be saved in png format. Customized video settings, so you can set the Video Codec, Frame Rate, Video Bitrate, Frame Size. As for the Frame Size, if you don’t find what you want, you are available to input your own resolution in Width(pixels) * Height(pixels). Set audio settings, including Audio Codec, Sample Rate, Channels, Audio Bitrate. It is very easy to use!! Video Cropping alters the dimensions of a video clip. You can eliminate areas of the video to emphasize a particular focal point within the frame such as highlighting a character by removing ancillary imagery or removing unwanted backdrops. Windows Phone 7 Video Converter also allows you to change video brightness, contrast, saturation, and apply other effects including mirror, flip vertical, rotate by 90 degrees clockwise and flip, rotate by 90 degrees clockwise, rotate by 90 degrees counterclockwise, rotate by 90 degrees counterclockwise and flip, noise, and sharpen. 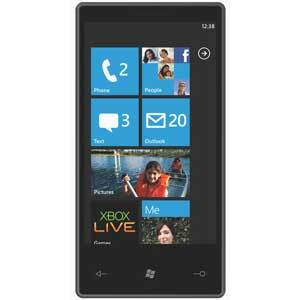 Windows Phone 7 is an upcoming version of the Windows Mobile operating system developed by Microsoft. It is planned for release by "holiday" 2010. Windows Phone 7 was initially intended to be released during 2009, but several delays prompted Microsoft to develop Windows Mobile 6.5 as an interim release being the first version to officially extend the customer focus from previously pure business to consumer and introducing the Windows Phone brand along with new services like "My Phone" and "Windows Marketplace for Mobile". During the Mobile World Congress 2010 in Barcelona, Microsoft revealed details of Windows Phone 7, which features a new operating system and integration with Xbox Live, Zune and Bing services. Previously, the project was under the name "Windows Phone 7 Series". However, it was announced on April 2, 2010 that the word "Series" had been dropped from the official name, making the new name simply "Windows Phone 7".